I’m the best mom. And so are you. We all have days, days of guilt, fear, dread and sadness. But as long as you are doing your best, you are present, loving, aware and trying, you are the best mom. I don’t care if you are a stay at home mom or a working mom. I don’t care if you breastfeed or bottle feed. I don’t care if you vaccinate or don’t. I don’t care if you give your child medication, or choose not to. I don’t care if you’re happily married, or happily single. I don’t care if you have an only child or ten. Those things don’t make you the best mom, let alone better than the other side. This good , better and best mom debate needs to stop! What you choose to do in the best interests of your child, does not mean the other mom’s doing different aren’t the best mom too. Let’s face it we each have unique children, what makes us think mom’s aren’t as unique. We don’t all fit in the same bubble. Thank God! Each family is different, each situation is different. That doesn’t make it wrong. I’m sick of it. I’m sick of the debates, the bashing, the my way or the highway mentality. I’ve had it! Yes I’m sure everyone can quote one thing or another to prove that really those things make you a better mom because so and so makes your child this or that. I don’t care! We are mom’s, bottom line. No long winded medical mumbo jumbo can take that away from us. And because there’s so much on either side of the debates, I say chuck that crap and focus on what’s important. Your child and your family, not their child and their choices. I can’t be alone? Maybe I am. What makes you the best mom to YOUR child (because it doesn’t necessarily mean you’d be the best mom to mine)? Because you kiss the boo boos, and wipe the tears. Because you read the stories, and give out hugs and kisses aplenty. Because you educate yourself I any given personal situation. Because you help with the homework, and lose countless hours of sleep. Because you do whatever you can to help your child be the best they can. Because you do your best to keep them safe and healthy, mostly happy. Because you love your child, like no other could. Those are a few amongst many reasons you are the best mom. That doesn’t mean the rest of us aren’t too. Dude is growing up into this amazing young man before my eyes, to quickly if you ask me. He’s taking steps in his self care, ie med schedule, I wasn’t expecting for some time yet. His morning anxiety is less than I’ve ever seen and homework is not a trigger! Therapy is a bit different with the rapid cycling bipolar diagnosis, its considered chronic so weekly therapy is not needed at this point unless we hit a rough spell! Though he still sees his physiologist every week and psychiatrist every three months. This I know is a total combination of things, meds being level, maturity, many years of therapies and teaching. Right now I tend to forget bipolar lives here some days, and that’s an awesome place to be. Then we have a day. Typically right now a day a week. And I’m brought back to reality. That though the cycles are farther apart and not as severe , bipolar still lives in this house. Bipolar will always live in this house. It’s a stubborn bugger that just won’t leave! Even during these days of good, it still has a room. It may spend more time in that room, but it still comes out fairly regularly. Some times just pieces of it make an appearance, some days it makes a full appearance. It will always live here it’s not going to just one day pack it’s bags and move out! We cherish these times when it stays in its room for longer. It gives us peace, and calm and strength to handle the next nasty full appearance. Many days I wish I could put signs in my face with my make up. So customers, family and friends could just look and know I’m just having a bipolar mom day, and not to expect much, without me having to explain. Yes I want a sign, one that says, good to go. One that says, no sleep, exhausted. One that says, caution, full cycle appearing. One that says , shhhhh, close to tears. One that says , be gentle. One that says , not good, horrible very bad day. And one that says , thank you. You see with the bipolar bugger living amongst us, I often feel bad, because the chitter chatter, smiles, etc just simply take energy I sometimes don’t have. Because it’s sapped all my energy, and raised every raw emotion I have. It’s seized my heart, and cried my eyes dry. And some days pretending it hasn’t wreaked havoc is damn near impossible, going through the motions of the day as if it hasn’t hit is extremely difficult. Bipolar you need to understand, does not just live with one person. It lives with the entire family. It consumes each and every person in the home when it decides to venture out of its room. It’s so important that siblings are included in the discussion about it, have support of their own, and yes often that means parents with different kids, out of the home family excursions are few and far between, but we try really hard not to let her brothers bipolar keep punky from doing things. We’ve sought support for her all her own so she has someone to talk to when bipolar raids our home. Parents communicate, and if possible be the others biggest support. If you’re split from the other parent please remember this is your child, so bipolar lives in your home too, and putting aside differences and working together to support your child is crucial to their well being (obviously not if abuse is involved). And your team of supports is working together. Remember YOU have the rights, if the team is not working together, you are allowed to select another participant! Don’t be afraid to if needed. Because bipolar won’t be moving out, yes bipolar lives here. We all get offended, some of us more than others, partly because it’s the nature of our personality, partly because we live in the depths of something that others don’t know, to no fault of theirs. I often find myself offended, and reminding myself it was nothing personal. Ignorance is bliss. We also are all offensive at times, again mostly not purposefully. At least I hope not. We blurt things out, do things we may find funny or mindless without considering that another person might be offended by our words or actions. I like to give people the benefit of the doubt when offended, sometimes I’m right in doing so, sometimes not. Sometimes you just can’t explain to or teach. Those ones I just walk away, close that door, though sometimes it’s painful to do so. Our world is full of things to be offended by. Stigma, stereo types, racism, sexism, war, illness, cruel injustice, etc. Those are the topics we need be offended by, those are the topics we need stand up and raise our voices for. These are the things worth you and I being offended by. Not some stupid post by someone living the Ignorance is bliss life on Facebook. Not by the man holding that guys hand, not by that couple hugging, not by that person who isn’t living just the way you feel is right. Because we are raising a child who gets stereotyped and stigma on a regular basis I do my best to politely comment or say something when I’m feeling offended by something someone thought innocent enough. Nine times out of ten when the conversation is over they are a) enlightened and b) understanding. You see I’ve been working on not being offended, so far not so bad, but there are times I think “god I need to say something” because a comment was so off base, uneducated or potentially harmful to someone. Those times I say something. But not bitchy, because like I said Ignorance is bliss and chances are they were either misinformed, are trying to make money by promoting something else other than the whole picture, or really just found something funny. These people I’m not so offended by. 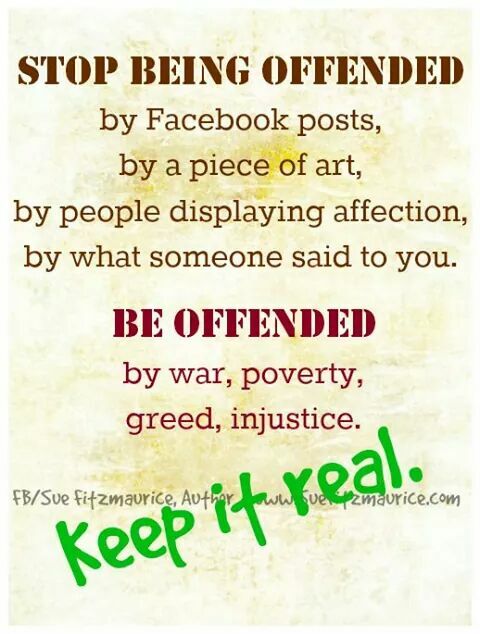 It’s people who refuse to understand the ramifications of their words or actions that offend me the most. I’m not talking a simple post, I’m talking a racist, sexist, judgemental, self righteous mentality. One who thinks they are better than the rest, who believes their way is the only way, who are directly or inadvertently wreaking havoc with their holier than thou attitudes. Who believe they know everything and then some. The people who openly and happily judge others, because they think they have that right. The people who preach something that in reality they know not much about. And then I get offended by the abuse and pain being shed on so many people worldwide. I am offended by the treatment of women and girls in other countries. I’m offended the most by these types of people. Not my friend who posted a idiotic comment or pictures. Not by my friend who just came out. Not by my friend who laughed at my mishap. No those are not worth me being offended. And why would I be? If you are kind, with a good heart doing good things why would I be offended. If you are living high on your pedestal, looking down on others, damn rights I’ll be offended. And I bet I won’t be the only one. Be kind. It’s not a competition. Be kind. It really is that simple. We all have moments where we’re not, no one can be perfect. But we sure can be mostly kind. The area I live in has seen horrific loss recently, and others struggling with scary realities and futures. 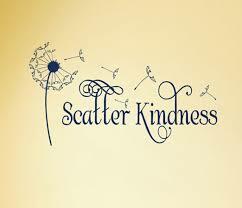 It has brought kindness to the forefront for me. You see one illness or one loss does not trump another. Pain and grief are individual and personal, and we need to support those people through the rough journey, but be gracious in knowing others to are suffering and struggling with their own battles. Emotions run high, hearts break and I can’t help but wonder how I can make it less. I have chosen to be kind. You see I live in fear and pain everyday with my child. But that doesn’t make theirs any less. And theirs doesn’t make my fears and pain less. I have had two lovely ladies who know my child and the bipolar, anxiety struggles we face, Grace me with kind words this week. And those kind words mean more than anyone can imagine. And I can only hope my words and acts of kindness can be that to others. Often with pain, loss and grief, kindness comes out of the woodwork, in many different forms. But then it passes. And we March on with our lives. What if we shared that same kindness always? What if we gave all the time? Being a mother of a child with chronic mental illness, I see kindness in abundance in times of crisis. 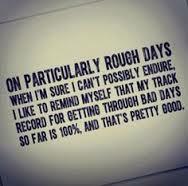 And yes those are the times I need it most, and am so grateful for it. It has given me a completely different perspective than before. Kindness no matter the size is just that, kind. A smile, a door held open a pass of the Kleenex. A ride, a shoulder, an ear. A gift, a poem , a coffee. Because like pain, illness and loss doesn’t trump another. One act of kindness doesn’t trump another act of kindness. Kindness is not a competition either. And I firmly believe no act is to small, at any time. Be kind people. Even when it’s hard, even when you’re hurting, give someone a smile or a hug. Be kind. It’s that simple. You are currently browsing the Bestkids's Blog blog archives for October, 2014.